Mostly, they just throw around the term and paint with a broad brush any and all schools that they deem mcdojo-ish to be nothing but scam operations, fleecing students and handing out rank like it was candy. My experiences have taught me that this isn’t always the case, and I’ve observed that making a good living and teaching quality martial arts are not mutually exclusive. Find out why in this week’s episode of the podcast! 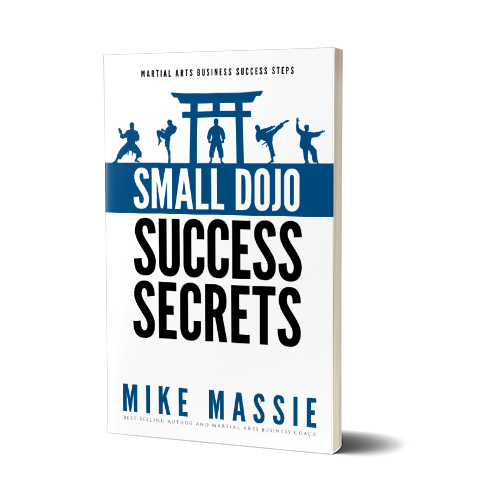 Also, in The Tip of the Week, I reveal what the first step to growing a martial art school is, and how you should go about doing it. Click here to go to the YouTube video version of this podcast episode (be sure to read the comments – some of them are pretty funny). 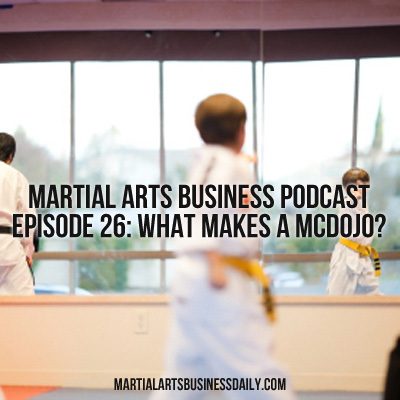 Q: What’s the first step in growing a martial art school? A: Building your marketing systems so you have enough leads, consistently, each and every month! So, if you’re not enrolling enough students, start with your lead flow. Is it consistent? And, is it enough? I used to tell school owners they needed 25-30 leads a month, but now I’m saying 30-40 due to the fact that not everyone is as good at converting leads at first. Are you getting at least 30 complete leads a month (a complete lead is name-email address-phone number – just getting the email doesn’t really count)? If not, you need to step up your marketing, either by increasing your marketing activity, increasing your ad spend (often the same thing as increasing your marketing activity), or by increasing the effectiveness of your marketing. The easiest way to step up your marketing is by spending more money on it… but often this can be an exercise in futility if your marketing is inefficient at converting eyeballs to leads. So, look at your conversion rates first. If they’re dismal, improve the quality of your marketing such that you are making it worth your while to spend money on marketing. Then, you can increase your marketing spend. Support This Podcast And Help Keep It Commercial-Free!